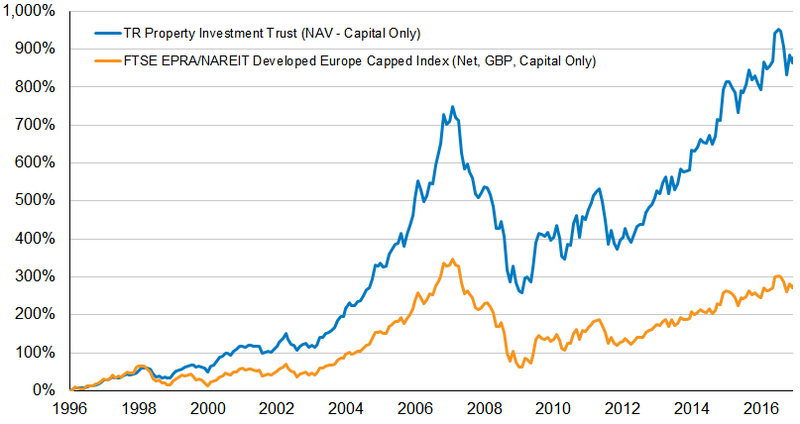 Edinburgh is one of the largest investment trusts on the market with assets of over £1.7bn. It is managed by Mark Barnett. The trust holds just over 50% FTSE 100 companies, 23% second tier FTSE 250 and 15% of the portfolio comprise overseas listed holdings. This is probably not one for ethical investors - 4 of the top 10 holdings are tobacco companies and together account for just over 20% of the portfolio. 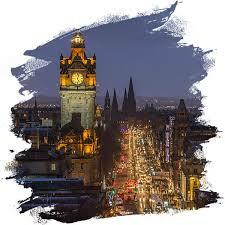 Edinburgh has been one of the cornerstones of my income portfolio held in both Sipp drawdown and ISA for many years. The sum of £1,000 invested in 2007 would now be worth £2,370 - the second best performer in the UK equity income sector behind Finsbury Gr. & Income Trust. It has recently issued its results for the year to 31st March 2017 (link via investegate). The Company's net asset value, including reinvested dividends, rose by 14.1% during the year, compared to 22.0% (total return) for the benchmark FTSE All-Share Index. Income per share over the year has increased by 4.5% to 27.9p. The board are proposing a final dividend of 9.15p making a total of 25.35p for the full year - an increase of 1.0p or 4.1% which is a small improvement on the previous year. 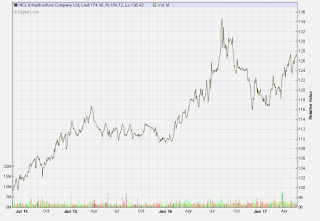 Based on the current price of 760p, the yield is therefore 3.3%. 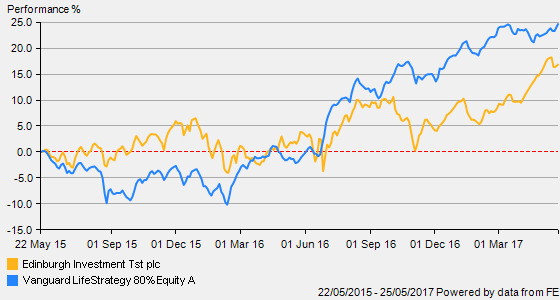 Last year the trust outperformed the benchmark by 8% - this year it has fallen short by 8%. Over 10 years, the return is very good but over 5 years the record is more average and dividend growth is below par at just 1.8% p.a. This is the 3rd full year in charge for Mark Barnett after taking over from Neil Woodford. 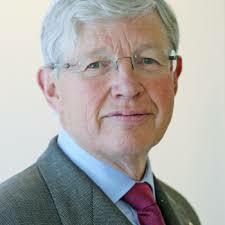 I will be trimming my current holdings in this trust but will give Mr Barnett a little more time to see if he is one of the few who can consistently beat the benchmark over the longer periods - time will tell. This property trust was added to my ISA last October and I also added it to my Sipp drawdown portfolio at the start of this year. At the end of April the largest geographic exposure was the 45% weighting in the UK, with France making up a further 17%, Sweden 10% and Germany 21%. Retail and office space accounted for 31% and 32% respectively, with another 27% in residential and the remainder divided between industrials and diversified. The main investment areas at the moment are shopping centres, residential property in Germany and offices in London’s West End. The trust has recently published results for the full year to end March 2017 (link via Investegate). 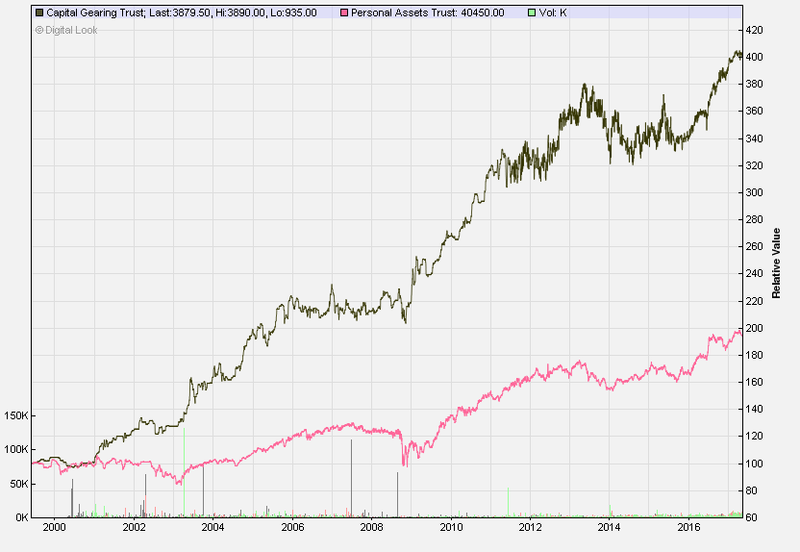 Net assets have increased by 8.0% and share price by 9.1% due to a narrowing of the discount. "The UK has performed better than many commentators expected but there are clear risks due to the uncertainty of the outcome of negotiations for the UK's exit from the European Union. Our concern is that businesses will be potentially less able to commit to longer term investment (such as new leases) without clarity on key aspects such as potential trade barriers and cross border supply chains. For similar reasons it is possible that there will be a deferral of the development cycle resulting in reduced speculative construction starts. Expectations of global growth continue to improve. Although bond yields have risen as a result and there have been some inflationary response, they remain at historically low levels. In this context the income characteristics of real estate coupled to the emergence of economic growth which provides an environment for rental growth, will remain attractive to investors. The Manager continues to seek to invest in businesses with strong cash flows and the potential for earnings growth and this combined with the mitigation of risk through a diverse portfolio invested across numerous submarkets and geographies, is reflected in their decision to maintain gearing levels". Revenues have increased by 36% partly as a result of the fall in the value of sterling against the Euro. As a result the final dividend will be increased to 6.4p making a total of 10.5p for the year, an increase of 26% compared to the previous year (8.35p). 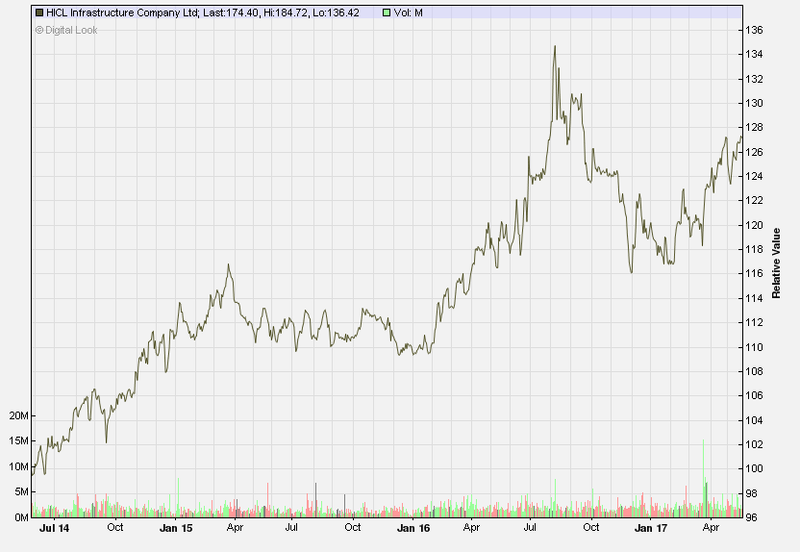 This gives a yield of 3.0% at the current price of 346p. This trust has so far been a positive addition to my portfolio - the share price is up 17% on my purchase price last year, recently receiving a boost after the election outcome in France, and the dividend increased by 26%. Obviously the next couple of years will be mainly dominated by the Brexit negotiations so I expect a little volatility in the share price but the income seems fairly secure and I am happy to continue and may well add on any significant pull-back in the price. It is now two years since I added this to my portfolio and time for another update. The fund represents the largest holding in my portfolio. Following a review of my investing strategy in 2015, I have come around to thinking that probably all I really need is a very simple, no-frills low cost diy strategy which makes sense, which can be tailored to fit in with my attitude to risk/market volatility and has every chance of providing a decent outcome. 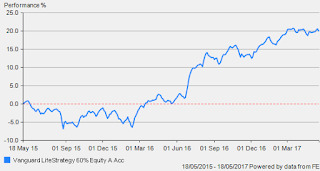 Having rejected the LifeStrategy option for at least the previous two years, I decided to change tack and take the 'income' I needed from selling units in the fund rather than the natural yield which I have done with my shares and investment trusts. Therefore, by holding just a single LifeStrategy fund, my portfolio is widely diverse with ~18,000 stocks/bonds from all around the world. The bond element (assuming you do not want the 100% equity) will comprise a combination of UK gilts, global bonds, corporate bonds and inflation-linked gilts. The equities element includes their UK all share tracker, global funds and some exposure to emerging markets. The big advantage for me is the auto rebalance to ensure the fund always remains at the risk level selected at the start - in my case with VLS60, 60% equities. 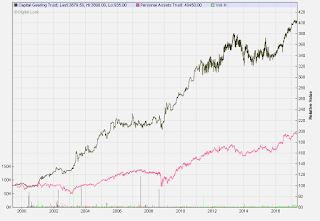 The fund is frequently rebalanced - probably daily as new money is injected via purchases. The annual charges for the Lifestrategy range have been reduced to 0.22% p.a. in the past year. My platform costs with Halifax Share Dealing are £12.50 p.a. which works out at 0.04% for £30,000. This fee would be £45 if held on Vanguard's new platform however there would be no charges for buying and selling. So, how has the fund performed? I made my initial purchase in my new ISA with Halifax in May 2015 and topped up later in the year as the markets retreated. My average purchase price was £136.50. 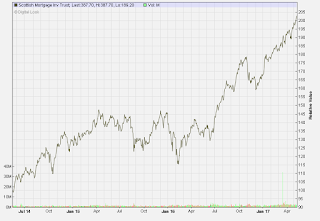 The current price two years on is £169.50 so a gain of 24.1%. By comparison, the total return for the FTSE All Share over the same period is ~15.0% so the combination of 40% bonds and a wider exposure to global equities in the VLS fund has worked very well. The LifeStrategy fund is priced in US dollars and some of the rise in unit price has come from the fall in sterling post Brexit. The average annualised return since inception is 9.3%. 2014 1.2%, 2015 1.0%, 2016 16.7% and 2017 year to date 6.8%. Due to the unexpected boost in my Lifestrategy fund last June, I decided to sell 8% of my holding which is the equivalent of 2 years 'income' so for the coming year I already have my income requirement covered and can therefore leave the fund to accumulate. As can be seen above, selling off 4% would work in 4 out of 5 years. For periods when returns are negative, I hold a cash buffer of 10% of the fund value in my building society a/c however, so far it remains untouched and has increased with the accumulated interest. The appeal of the VLS strategy is its simplicity - 18,000 assorted global equities and bonds in one fund with low cost of ownership. It offers me the level of equity/bond allocation to match my requirements and can deliver a reasonable return compared to other strategies. It seems to me that putting together a DIY investment portfolio does not come much simpler than this. You decide on your asset allocation, select your broker, invest your lump sum and/or set up your automated monthly direct debit - job done, get on with your life! The only minor reservation I have is the equity allocation of 25% to the UK is a little high and I would prefer a lower figure of say 15%. Otherwise I am more than happy with returns for my first two years and hope to top up my ISA holding in the next few months as I have a build up of cash from various sales and the redemption of my building society PIBS. 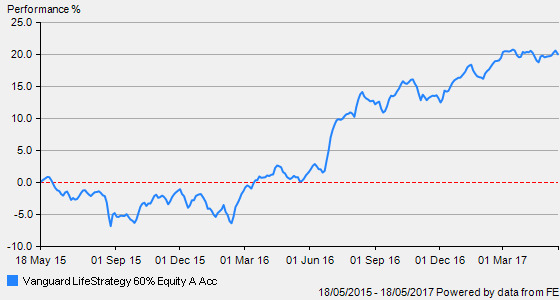 Over recent months I have become increasingly cautious regarding my equity investments. The US markets appear to offer little more upside - CAPE ratios have only been higher in 1929 and 2000. 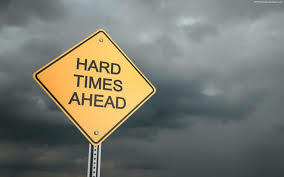 Of course the current bull run could carry on for some time but there will be no 14 day warning when the markets turn. The UK markets will not be immune from any US bear market and as I have had a very good run in recent years, it is prudent to rebalance my portfolio. Some of my disposals over recent weeks include partial sales (top slice) of Aberforth, City of London and Edinburgh and complete sales of Dunedin Income, Invesco Income and Law Debenture Trust. Share sales include Amec Foster, Berkeley Homes, IMI, Unilever and IG Group (which leaves just Next and Legal & General). I have therefore taken a look at a few options for investing some of the cash building up from these sales. One addition has been iShares Corp. Bond (ex fin). In the past I have held Personal Assets Trust to protect some of the gains but for now I have settled upon Capital Gearing. CGT has been managed by Peter Spiller for the past 35 years over which period he has a very good track record. The only negative return over this period was a loss of 2.5% in 2014. He successfully navigated the financial crash of 2008/09, making 6% return for investors that year while the FTSE All Share was down 30%. The trust finished 2016 with a very defensively positioned portfolio - a low allocation to equities and an emphasis on short-duration in the fixed income portfolio. Spiller believes that high asset prices mean that the prospects for medium-term returns are muted. 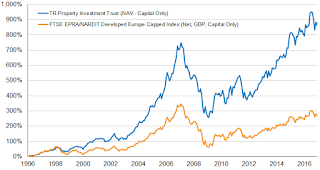 For many years the trust share price traded at a significant premium to net asset values but the management introduced a discount control mechanism in 2015 which helps to reduce volatility and keep the price closer to NAV. The trust has ongoing charges of 1.0% however, in addition, there will be charges associated with holding the investment trusts. My initial entry price earlier in the week was £38.60. In the most recent quarterly report the manager observes "...that prospective returns are as low as they have ever been, our principal role as stewards of your money is return of your capital, rather than return on your capital. 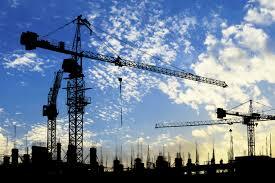 The portfolio is defensively positioned and likely to remain so for the foreseeable future". The final results for the year to April 2017 are due end May. Vanguard UK have today announced the launch of their own platform for UK investors to compete with the likes of Hargreaves Lansdown and AJ Bell. They are offering a stocks & shares ISA, a basic general account (non ISA) and a junior ISA. 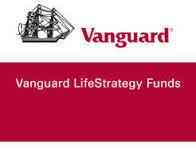 Investors will be able to choose from Vanguard's full range of index funds - including the popular Lifestrategy range as well as Target Retirement funds - also actively managed funds and full range of exchange traded funds. I understand a SIPP will be offered later this year. Obviously the drawback will be that investors are restricted to holding just Vanguard investments so will not be able to hold individual shares or investment trusts and funds from other providers. As you would expect the charges are low - just 0.15% which means £30 p.a. for this year's £20,000 ISA allowance for example. With HL the charges would be £90 and with AJ Bell Youinvest £50. Also there are no dealing charges for the purchase/sale of funds and £7.50 for dealing ETFs. This move was flagged up last year so it is good to see the launch. It will be interesting to see the response from the established platforms as I am sure Vanguard's offering will be very attractive to those who are happy just holding their range. In 2015 I opened an additional ISA with Halifax to hold my Vanguard Lifestrategy 60 fund and for a one-off buy and hold this is still cheaper than Vanguard so I will keep it going. I also have my Youinvest ISA with my mix of investment trusts which I will also retain. However I will look at a new ISA for this coming year with Vanguard when the time comes around to add to my Lifestrategy holding. Leave a comment below...what do you think about the new platform? Scottish Mortgage is an actively managed, low cost investment trust, investing in a high conviction, global portfolio of companies with the aim of maximising its total return to its shareholders over the long term. 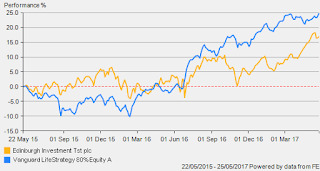 The managers aim to achieve a greater return than the FTSE All World Index (in sterling terms) over a five year rolling period. Having waited some time for a pull-back in the share price without success, I decided to add the trust to my SIPP portfolio at the start of the year and made my initial purchase at 338p. The share price has advanced 15% to currently 389p. The trust has today issued results for the full year to end March 2017 (link via Investegate). 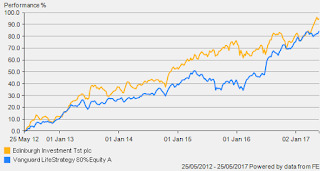 Share price total return is up 41% compared to 33% for the benchmark FTSE All-World index. Scottish Mortgage has increased total net assets to more than £5bn making it one of the UK's largest investment trusts. It was recently promoted to become the only investment trust in the FTSE 100 and this has provided a boost to the share price as it now has to be held by all the FTSE 100 index funds. The top ten holdings account for 54% of the portfolio and include Amazon 9.5%, Baidu 4.4% (China's equivalent of Google), Alibaba 5.1%, Facebook 4.8%, Tesla Motors 6.8% and Alphabet (Google) 3.7%. Some 10% of the portfolio is invested in unquoted companies - Dropbox, peer-to-peer lender Funding Circle and airbnb to name three I am familiar with. Largest holding Amazon has become a giant in global retail. 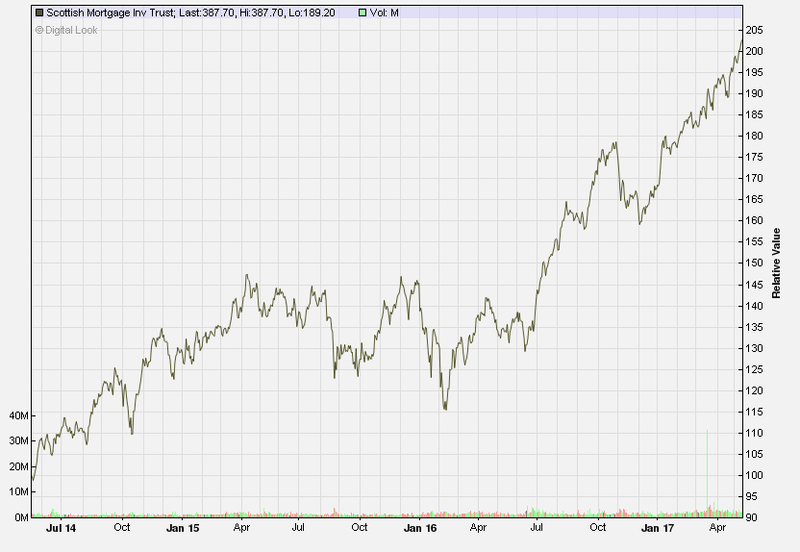 Over just 10 years it has grown more than 20-fold from a market cap of $20bn to currently $460bn. Many of these network businesses now seem to have reached a critical tipping point, whereby their sheer dominance and scale become a reinforcing competitive advantage. This stems from the developments within machine learning and artificial intelligence (AI). The increased level of global connectivity, through the combination of the relatively new infrastructure of the mobile internet, social media and smart devices, has produced an explosion in the proliferation of data. The volume of this is now so great that no human could hope to curate the content. It will require machine learning and AI to process it. The leaders in these fields need access to the best data sets, produced by the largest networks. It is no accident that Baidu, Alphabet, and Facebook are leaders in this area. Over the past ten years, the trust has delivered a return of 302% (second only to Linsell Train) compared to 148.7% for the All-World index. Although this is essentially a global growth trust, it is worth noting it has increased its dividend every year for the past 33 years. However, due to the share price appreciation, the current yield is 0.8% (about the same as an average savings account!). Obviously I am pleased with progress since my recent purchase and hope to add to my initial holding when there is a pull-back down the line but for now the current holding will return to the bottom drawer.